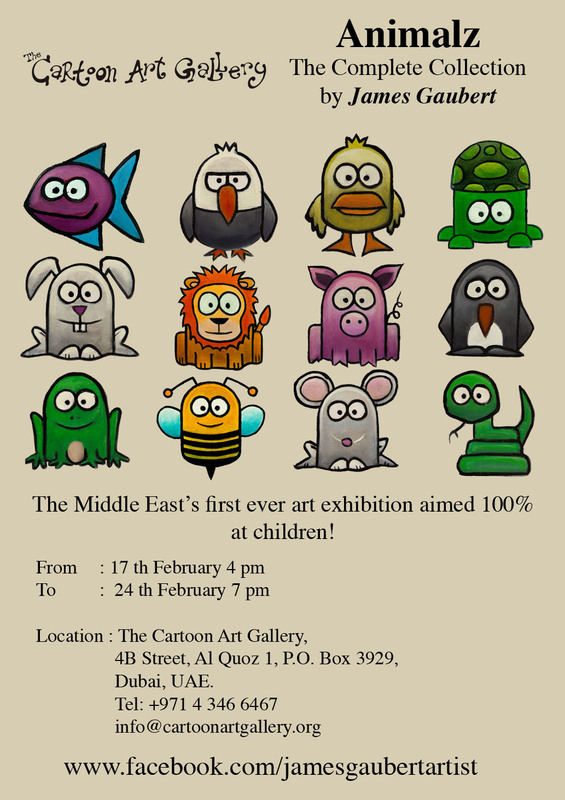 The Middle East’s first ever art exhibition aimed 100% at children! The Cartoon Art Gallery has announced that it will host the Middle East’s very first art exhibition aimed at children next month. 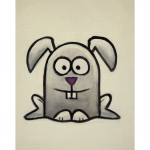 ANIMALZ – The Complete Collection by James Gaubert will launch on Sunday 17 February, and will feature over 40 oil paintings that are designed to give a child’s perspective on all the favourites from the animal kingdom, in an almost over-exaggerated, urban, cartoon state. This really is the coolest and most fun art exhibition ever to hit the Middle East! Having exhibited at a number of galleries across the UK, British artist James Gaubert is keen to make a difference to the young art scene in Dubai following a move to the emirate last year. James works across a number of mediums, including ink, acrylics and watercolours. However, his core work is created using simple oils on canvas. From a style perspective, James is considered to be a modern contemporary artist focussing on high impact imagery, injecting his own urban influence. Discovering a gap in the art scene for young painters, James’s aim is to encourage children in the UAE to embrace all forms of arts to expand their creativity. Contemporary visual art can be controversial, thought-provoking, beautiful, layered, or even unsettling — often created for an adult audience who craves hearing a new voice with something to say. Beyond the stereotypical and untrue saying about some contemporary art — “My child could do that!” —today’s visual art typically does not target an audience of young children…….UNTIL NOW! So what’s in it for the kids? The exhibition is aimed at helping to engage children into the world of art. There will be interactive workshops with the artist, as well as a week-long competition where one lucky visitor will have the opportunity to win one of the paintings on display. There will also be goodie bags for the first 100 children that visit. The Cartoon Art Gallery is the first gallery in the Middle East specifically for the art of cartooning and animation. Located near ‘gallery alley’ of Al Quoz 1 in Dubai, the gallery is striving to become the place for independent artists in the region and internationally to showcase their cartoon creations. We are here to serve the community with unique exhibits and programmes. The gallery is open to exhibits related to animation, cartoons, comics, caricatures, illustrations, concept art, and children book illustration. 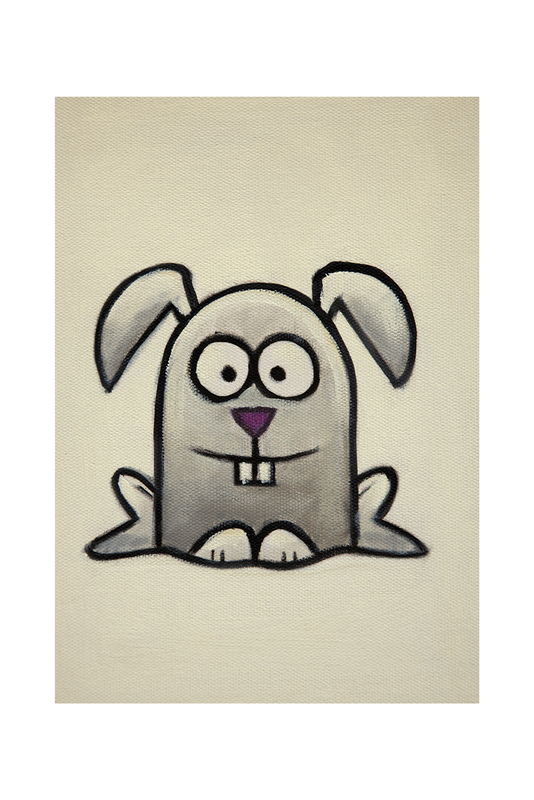 We accept different forms of media from traditional paint and ink to digital prints and video. For more information about the exhibiting artist, please visit his Facebook page (www.facebook.com/jamesgaubertartist) , or contact him on 052 927 5517 or james.gaubert@gmail.com.